Have you ever been framed? The frame is the perspective outsiders have of your wealth management company. It may be accurate or false. Positive or negative. But if you haven’t actively nailed down what your business stands for—and what differentiates it from competitors—you’re likely reducing profits, talent, and the longevity of your firm. 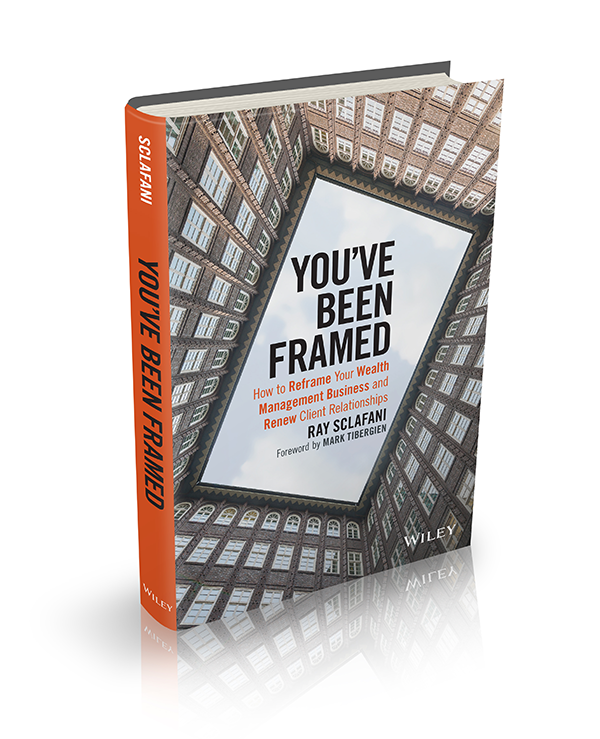 You’ve Been Framed gives you a process for taking control of your firm’s frame to attract prospects into your pipeline, win the next generation of clients, and deepen your business so it can thrive long into the future. This book provides all the tools you need to consider how you may wish to reframe yourself, your team, and your firm! The book provides readers limited access to the ClientWise eXchange™, a first-of-its-kind online platform that provides free proprietary content developed by ClientWise and access to a network of elite financial advisors and the world’s highest- credentialed executive coaches who are open to chat, brainstorm, answer questions, and share insight to make sure you don’t have to go it alone.